The collab every Glee fan has been waiting for! Why See Lea Michele and Darren Criss? When Lea Michele and Darren Criss starred in the hit Fox series, Glee, they quickly stole the hearts and ears of the nation. With their melodic voices and captivating performances, the pair became firm favorites in the show. Now for 2018, and with Glee in the past, the two have embarked on successful solo careers and come together for the extra special LM/DC Tour. Blending their honeyed tones together once again, this is the collaboration that every Glee fan has been waiting for! In a night that will feature both Michele's and Criss' solo hits, the duo have also eluded that they will bring back some of their favorite Glee moments as well as feature some of Broadway's biggest tunes! Although the pair are best known for Glee they both enjoyed triumphant careers on Broadway. Lea Michele has been on stage since she was a young child and has had starring roles in Les Miserables, Ragtime, Fiddler on the Roof and Spring Awakening. Her time on Glee as Rachel Berry earned the star countless Grammy, Emmy and Golden Globe nominations, with many of her hits reaching the top of the Billboard charts. Darren Criss also enjoyed theatrical success with his acting troupe, StarKid Productions, who's musical parodying the juggernaut that is Harry Potter stormed YouTube and gained the group a huge cult following. Criss has also starred in How To Succeed in Business (Broadway) and transformed the Broadway production of Hedwig and the Angry Inch back in 2015. Sound good to you? 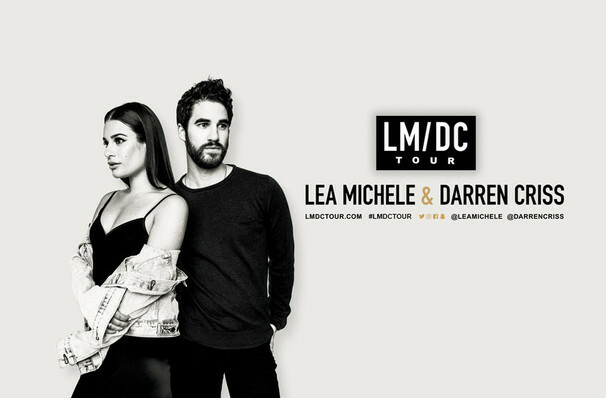 Share this page on social media and let your friends know about Lea Michele and Darren Criss at ASU Gammage Auditorium.